1 Cream together the butter sugar and then beat in an egg. Stir in the flour and then spoon into a piping bag with a plain 1cm nozzle – a food bag with a snipped corner will do just as well! Pipe 6cm lengths on to greased baking sheets (you should get about 12-15) spaced well apart. Bake at 220°C/R7 for 5 minutes until just golden. 2 All to cool on a wire rack. 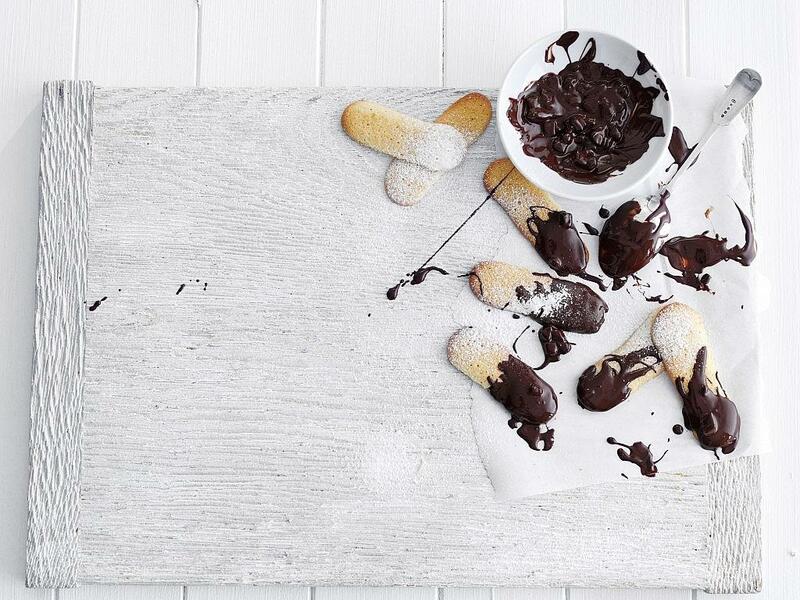 Melt the chocolate and dip the ends of the biscuits in. Allow to harden, dust with icing sugar and serve. Drizzled with Limoncello syrup – delicious!